Bonnie Paton Moon grew up in a rural New England town on a dairy farm with two brothers, a sister, a collie named Brigadoon and an assortment of barnyard animals. Upon graduating college, she and her husband, Richard, settled in Westport, CT where they have resided for 38 years, raising their son, Michael, and now enjoying three grandchildren who live nearby. Bonnie worked as the Business Manager of the Westport Public Library for 25 years before retiring in 2008. After her mother’s passing in 2009, Bonnie embarked on a journey to preserve and protect her parents’ world-renowned birding “mecca” known as Paton’s Birder Haven in Patagonia, Arizona. A frequent visitor to her parents’ home in Patagonia, Bonnie loved looking through the Guestbook pages to see who had been visiting and from what corner of the globe they had traveled to get to this tiny piece of birding paradise. At one point, she realized that this magical place that her parents had created was not hers to keep, but instead, belonged to the thousands who visit each year. Bonnie credits the inspiration for her book to a meeting in 2012 with Dr. George Fenwick, President, of American Bird Conservancy, and to receiving the Connecticut Audubon Edwin Way Teale Writer-in-Residence Award later that same year. The completion of Journey Home marks the culmination of a six-year labor of love which kept her parents close to her heart. She still enjoys the journey home whether to Massachusetts to reconnect with her farming roots or to Arizona to reconnect with her parents’ legacy. 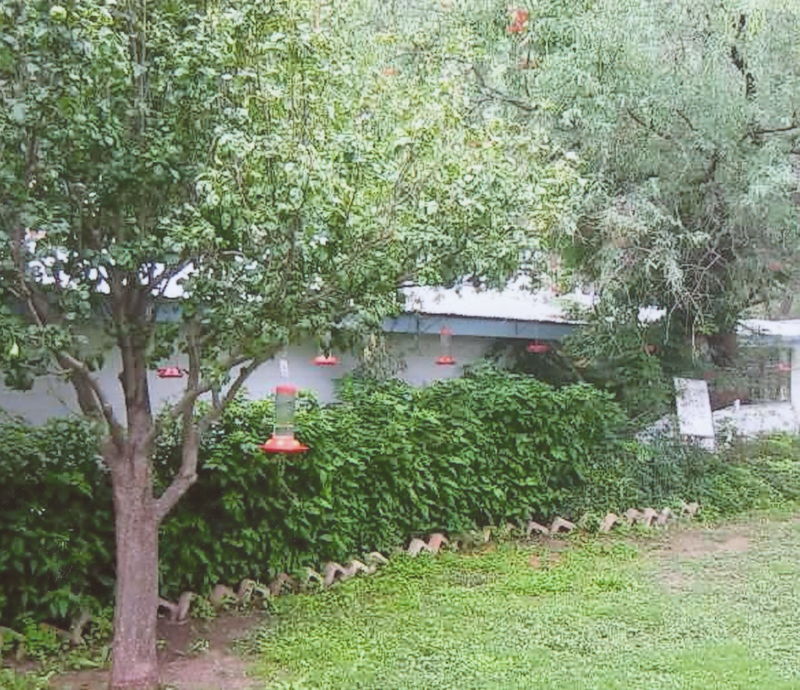 She is currently working with Tucson Audubon on the history of the property, now known as the Tucson Audubon’s Paton Center for Hummingbirds.